Ok, so Feyne has a problem. She wants to install a mosquito net over her bed but being a rental tenant, she is restricted by her landlord from any permanent installation i.e. no nailing allowed. So how to get around this problem then? Here's what I think can be done with regular household items. The easiest and most straightforward solution is to get a movable hook like that one below. All you have to do is to stick one of these babies unto the ceiling than turn the hook 90-degree et voila, you have a downward hook. 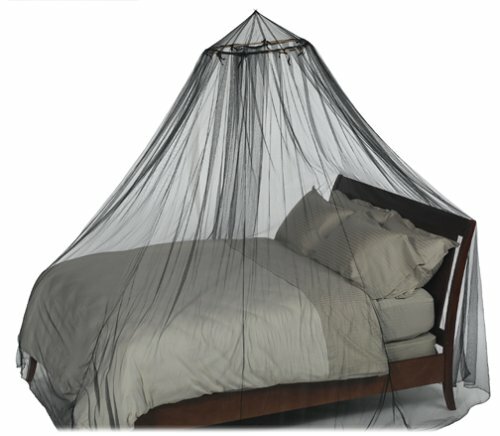 Note: I am not sure if a single hook can take the entire weight of the entire mosquito net set up which I am estimating it to be around 500 to 600g, discounting accidental tugging from below. 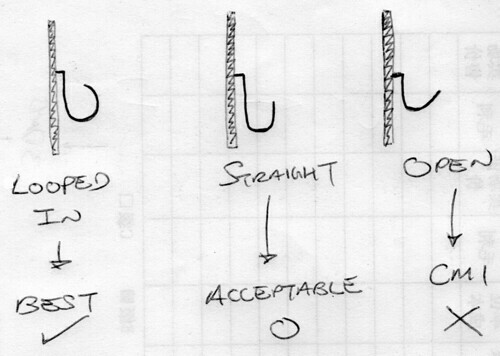 Can't find this type of hook from your neighbour hardware shop? Then read on for my alternative solution. First off, you need to prepare the ceiling i.e. 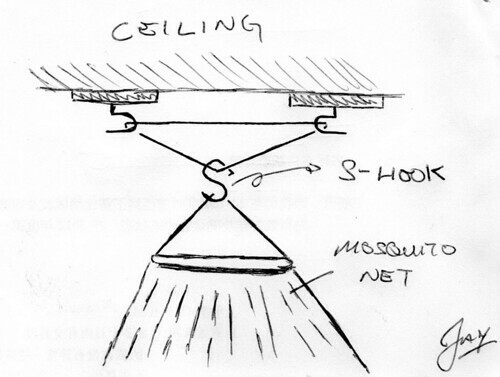 you need to clean the ceiling to ensure that it is dust free and free of peeling paint. That way you ensure the mounting tape on the adhesive hooks stick to the ceiling and not the peel of the paint and/or ceiling dust. All adhesive hooks have a load rating indicated on the packaging. 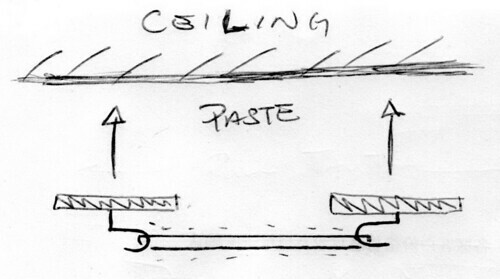 The problem with these ratings is that it is calculated based on lateral force since it is assumed that we paste them on a vertical wall. 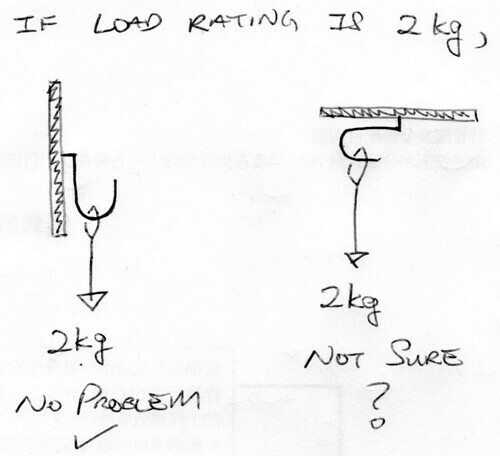 As such, the rating for a perpendicular force may not apply and I am guessing will be lesser. So try to get a rating as big as possible. Typical kiasu Singaporean. Haha. Next get some nylon cord or in Singapore army speak, comscord. This is available at the army supplies stalls at Beach Road opposite Golden Mile Complex. It does not necessarily need to be nylon. Just anything that is strong, durable and cheap will do just fine. Tie a length of the cord into a loop. As the the length of the diameter is kind of trial and error. I would suggest starting with a loop of 15 to 20cm i.e. cut a length of about 30 to 40cm and loop it. Make sure the knot is secure. Once the loop is ready, get two hooks into the loop facing away from each other. For added measure, you can consider tying a knot at each hook to further secure the cord to the hooks or perhaps a loop-the-loop would suffice. 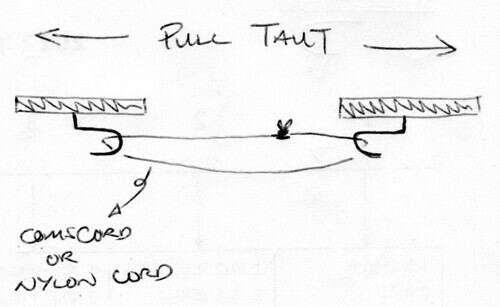 Paste the two hooks to the ceiling with the cord loop pulled taut. Once that is pasted, let it sit (or hang in this case) for say 10 minutes to let the adhesive fully set in. Next, get a plastic S-hook to hook onto the cord loop and the rest of the mosquito net set up to the bottom of the S-hook. And that's how Jay "MacGyver" Walk does it. How many copies of unused invoice you have use for your drawing? LOL!! Gary: Sharp eye! You saw the background ah? Actually, these are recycled papers where I cut it up into quarters i.e. A7 size and use the other side. I have one of those big paper clips to bind them into a make-shift notepad. And that is how Jay "Macgyver" Walk does it.